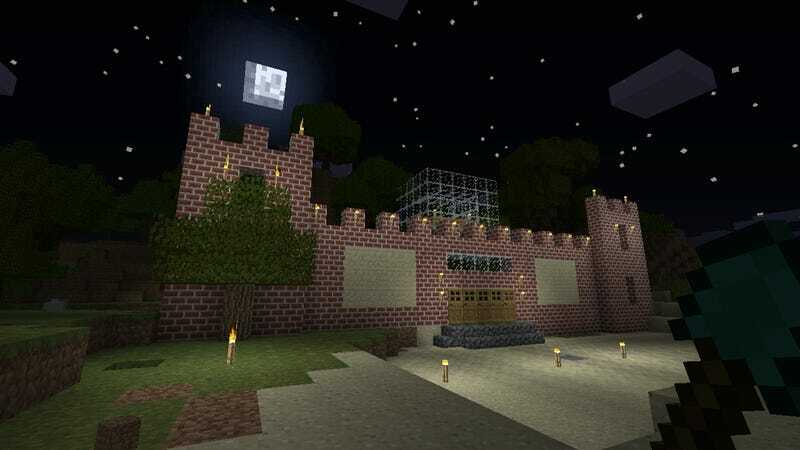 You've seen Minecraft's Xbox 360 trailer, now see a dozen of its screenshots. Two of them showcase what will be "an innovative new crafting interface," according to a fact sheet from Microsoft. "A streamlined interface opens at the press of a button, and players can choose from several categories of items to create," says the statement. "Minecraft on Xbox 360 explains what each object is, what it does and what is required for building so players new to the world of Minecraft can get into the action right away. Minecraft on Xbox 360 removes the barriers between you and your creativity!" You can see examples of that interface in the final two screens of this gallery. Ten other shots show off the rest of the game's world. Yep, that looks like Minecraft alright. Gotta like the pixelated motif extended through the button command menus, too.